Desafiando a Nomenklatura Científica: Extra! Extra! Extra! O núcleo interno da Terra é relativamente jovem! Extra! Extra! Extra! O núcleo interno da Terra é relativamente jovem! 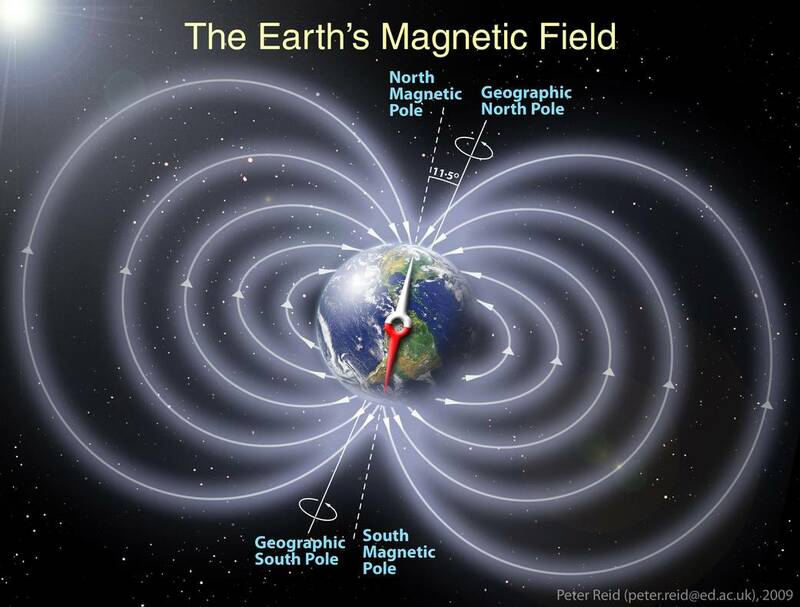 An enduring mystery about Earth has been the age of its solid inner core. Plausible yet contrasting core thermal conductivity values lead to inner core growth initiation ages that span 2 billion years, from ~0.5 to >2.5 billion years ago. Palaeomagnetic data provide a direct probe of past core conditions, but heretofore field strength data were lacking for the youngest predicted inner core onset ages. Here we present palaeointensity data from the Ediacaran (~565 million years old) Sept-Îles intrusive suite measured on single plagioclase and clinopyroxene crystals that hosted single-domain magnetic inclusions. These data indicate a time-averaged dipole moment of ~0.7 × 1022 A m2, the lowest value yet reported for the geodynamo from extant rocks and more than ten times smaller than the strength of the present-day field. Palaeomagnetic directional studies of these crystals define two polarities with an unusually high angular dispersion (S = ~26°) at a low latitude. Together with 14 other directional data sets that suggest a hyper-reversal frequency, these extraordinary low field strengths suggest an anomalous field behaviour, consistent with predictions of geodynamo simulations, high thermal conductivities and an Ediacaran onset age of inner core growth. We thank G. Kloc for the sample preparation, B. L. McIntyre and R. Wiegandt for the electron microscope analyses and T. Zhou for magnetic hysteresis measurements. This work was supported by the National Science Foundation (grant nos EAR1520681 and EAR1656348 to J.A.T.). J.A.T. and R.K.B. conducted the field studies. R.K.B. conducted the palaeomagnetic measurements on the feldspars and R.D.C. measured clinopyroxenes; both data sets were analysed by R.K.B., R.D.C. and J.A.T. Electron microscope analyses were conducted by J.A.T. Core thermal conductivity models were provided by F.N. All the authors participated in the writing of the manuscript. J.A.T. conceived and supervised the study. We thank J. Feinberg for helpful comments. Correspondence to John A. Tarduno.